Over the past 14 years, it’s been Jessica’s mission to make Aria Marketing the type of place where people look forward to coming to work every day, and the type of company that businesses want to work with long term. She has come up through the ranks from account executive to senior account executive, to becoming the company’s first ever director. Now, as EVP and a partner of the business, Jessica is responsible for all aspects of client service, account management and business operations. Perhaps most importantly, she is the company’s (un)official travel consultant, specializing in hotel and restaurant selection and itinerary development. Jessica received her Bachelor of Science in Communication from the University of Miami. 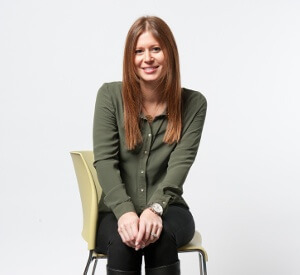 Jessica is a member of the Boston Chapter of PRSA.